It is a busy and exciting week in GITEX! 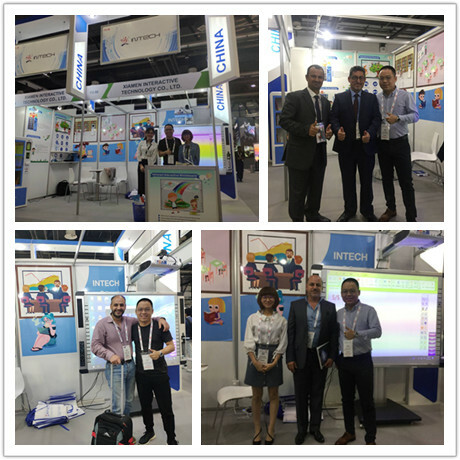 Together with more than 4,000 entities, Intech team is passionate to show the high-end technologies and innovations for the delegates, visitors as well. Visitors to our stand get a great hospitality from our vibrant colleague. 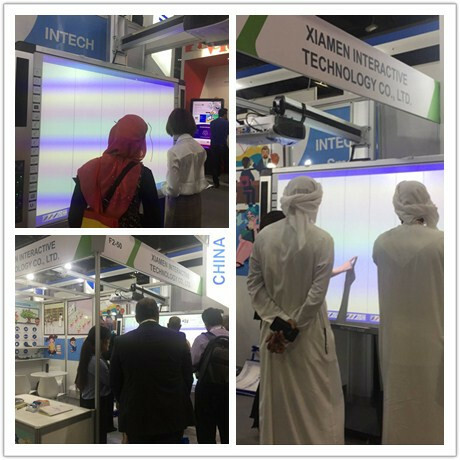 Our staffs give the specific demonstrations on the operation of Intech all in one interactive whiteboard and its software. 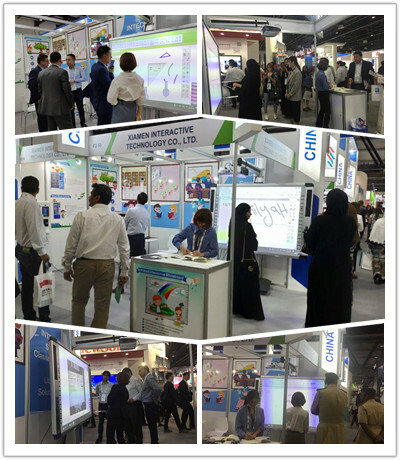 Visitors are interested in the integration of the central control unit and document camera. They think these two applications can help them to reduce a lot of budgets for purchasing additional devices, save more space, and improve their presentations in business or education. The software is another highlight to attract the attendees’ attention. Many attendees take advantage of this opportunity to see how fantastic IntechSharing is. It is a screen sync function of whiteboard software, means that users can share their documents, pictures, video, etc. from smartphone to the computer and from PC to the mobile devices as well. Meanwhile, users are allowed to annotate on these multimedia files. With the guide of our colleague, visitors also have a chance to experience the split screen function, which enables them to divide the whiteboard interface into separate parts and take multitasks respectively. “It absolutely contributes to improving the efficiency of a class.” Most visitors say. Smart book cabinet is something that Intech has taken very seriously past two years. It is designed to improve the items circulation and give more convenient for library staff and patrons. In the GITEX week, visitors are invited to our booth to see how amazing the smart book cabinet is. Based on RFID technology, visitors can borrow and return books from this small equipment in a few seconds. It is also full of other functions like search, renew, etc. 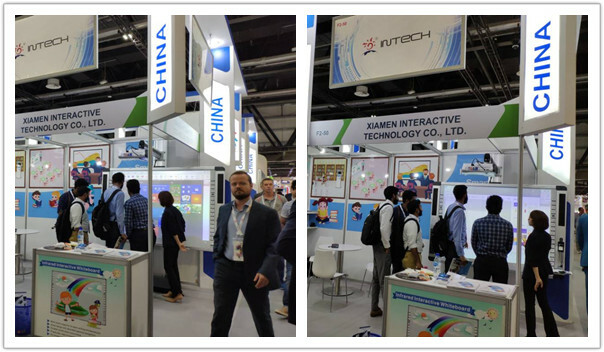 GITEX 2018 has ended, but Intech service is not. We are delighted to exchange opinions with you in the future to stay competitive and service for you! Next：Why Cost 200 AED for GITEX? Contact Us for Complimentary!